Kickboxing, I ask you. 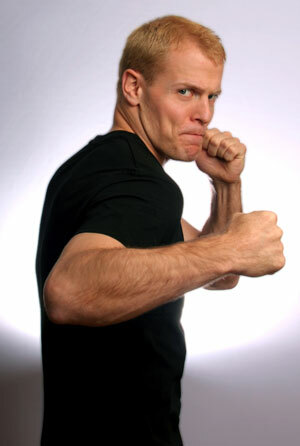 You need to have a lot of guts to go a few rounds with these guys and Timothy aka Tim Ferriss has guts. Apart from Kickboxing; he is the bestselling author of the 4-hour series of titles concerning work load, health and recently cooking. Furthermore, he is also an angel investor/advisor to many of the giants we know today including Facebook, Twitter, Evernote and Uber. Jealous? Me too (sigh!). He has enviable accomplishments in his name too. New York Times said Ferriss was “somewhere between Jack Welch and a Buddhist monk”. Newsweek declared Ferris “The world’s best guinea pig” and in 2008, he was named “Greatest self-promoter of all time” by Wired Magazine. He was named one of Fast Company’s “Most Innovative Business people of 2007”. In 2012, he was listed in Newsweek’s Digital Power Index 100 as the 7th most powerful online personality. He is also named as a Henry Crown Fellow of 2009 by the Aspen Institute. Guinness World Records crowned him with the record of the highest number of tango spins in one minute. All these accolades don’t come easy though. You have to be noticed to be worth mentioning. He is a charity advocate and a member of the National Advisory Council of the public school nonprofit DonorsChoose. Raising $250,000 for underfunded public school; he also dedicates his birthdays to raising funds and heading LitLiberation to increase literacy worldwide, impacting the lives of more than 60,000 students. All his books and work principles revolve around a simple philosophy: changing one’s lifestyle to suit one’s work schedule. He detests the use of email, IMs and internet enabled PDAs claiming that they complicate life rather than simplify it. In my honest opinion, it could be true. These devices force you to juggle a lot of tasks at the same time. I believe concentrating on one aspect of your work at a time helps you implement and receive better outputs. That’s my opinion! Princeton being his Alma mater it’s no wonder he has accomplished so much at 35. BTW, he turns 36 this July 20. His plans as usual are philanthropic. Most people would try and have a bonanza every birthday. Understandable as it comes once a year. Tim Ferriss on the other hand is raising $36,000 to install water delivery systems in Ethiopia. Using his reach and influence to raise the funds he is teaming up with Charity: Water to improve the lives to people who travel hours and miles a day just to bring home a couple of gallons of clean water. He has partnered with corporations and organizations such as Star Alliance and Charity: Water to impact lives we will not witness living in America. Charity: Water, founded by Scott Harrison is soon to be a recipient of the Google Global Impact Award. 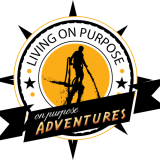 Scott was inspired to found his own charity, to do his part for the global impoverished while working as a photojournalist on Mercy Ships. Impacting the lives in communities in over 20 countries across Africa, Asia, Central and South America, their work which is funded by donations can be seen in a Google Map in their website. 100% of all donations received goes into funding such projects. And such a campaign is now being organized by Tim Ferriss. Tim Ferriss’s birthday is an opportunity to impact lives we might never have to endure or witness and in such we can do our part to help those in dire needs. Water, the essential commodity to economic improvement and stability in a country such as Ethiopia is crucial for the development of future generations to come. You can visit http://my.charitywater.org/timferriss for more information on how you can help quench thirst alongside tim ferriss. Rock climbing, backpacking, survival oh my!